Reporting a loss of $4.21 billion for the fourth quarter of 2014 would probably have caused any other corporate entity to be booted out of any investor’s portfolio but the case in different in case of Intel Corporation (NASDAQ:INTC). As the largest global chip-maker, Intel reported negative sales for the concluding months of 2014 because instead of letting customers pay, it was the company which ended up disbursing payments. The intention was to encourage people to buy devices containing its chips so that its new models would be readily accepted on being launched. What was highlighted about the company during the CES 2015 held at Detroit was the growth reported by IoT, meaning Internet-of-Things, division that was slated at 19%. 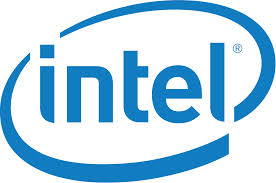 Through IoT, Intel Corporation (NASDAQ:INTC) sells miniature processor chips, wireless radios and a wide range of sensors. The new ‘Curie Model’ which is about to be launched by the company is also a product of this division wherein something as tiny as a button will be equipped with a Bluetooth connection, sensor hub and a Quark processor. CNBC discussed the situation with Cody Acree of Ascendiant Capital Markets and the expert was clear in expressing his opinion that going short on Intel would be the best decision given the present scenario. According to him, Intel Corporation (NASDAQ:INTC) was unlikely to see any profitability till 2016 at the earliest and fall on guidance of the company was a culmination of several factors. With competitors like QUALCOMM, survival is what Intel should be concentrating on, he said.